Catégories Lecture: Développemental et Syndrome de dysfonctions non verbales. Do you know a child who is bright, charming and articulate, but has no friends? A child who showed early signs of intelligence, but is now floundering, academically and emotionally? Children with Nonverbal Learning Disabilities (NLD) are an enigma. They’re children with extraordinary gifts and heartbreaking challenges that go far beyond the classroom. 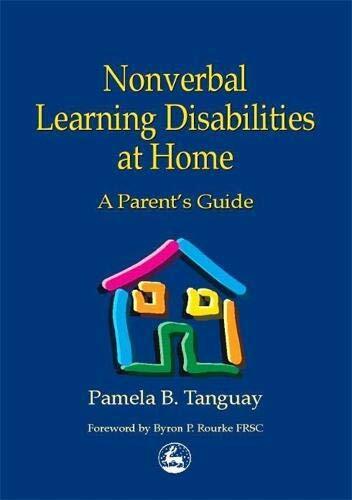 Nonverbal Learning Disabilities at Home explores the variety of daily life problems children with NLD may face, and provides practical strategies for parents to help them cope and grow, from preschool age through their challenging adolescent years. The author, herself the parent of a child with NLD, provides solutions to the everyday challenges of the disorder, from early warning signs and self-care issues to social skills and personal safety. User-friendly and highly practical, this book is an essential guide for parents in understanding and living with NLD, and professionals working with these very special children.